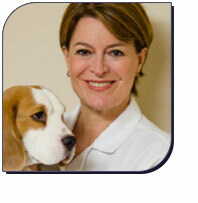 Dr. Panich received her advanced training in veterinary dermatology at Cornell University in 1990. Following her specialty training and board certification, she established a private specialty prac-tice in the New York City and Long Island area. She is the author of professional publications, textbook chapters and has lectured on several areas of veterinary dermatology. Professionally, Dr. Panich has a special interest in treating patients with atopic dermatitis, immune-mediated dermatoses and recur-rent bacterial and fungal skin diseases. In her spare time, she en-joys playing piano, Argentine Tango and traveling with her family.